An invisible, durable coating that provides water repellent, resistant, and anti-static properties for glass and ceramics surfaces. In testing, the friction of glass was reduced to less than 0.1, thus making wiping and polishing surfaces significantly easier. Protection also increases the scratch resistance of the glass/ceramic surface. Nano coating is incredibly thin almost invisible, and yet forms a highly durable, resistant and non-yellowing protective surface. Glass/ceramic surfaces that have been treated are far easier to clean – a wipe-over with a damp cloth is sufficient; there is no need for an additional cleaning product. Durability up to 3 years. Magic Glass Coat - hydrophobic nano coating for glass and ceramics A nano coating with hydrophobi..
A nano coating with hydrophobic and self- cleaning properties developed for glass surface. 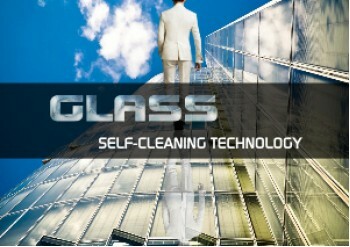 Magic ..
Magic Glass Coat (5 Liter).Easy to clean, hydrophobic nano coating for glass and ceramics. Magic Gla..